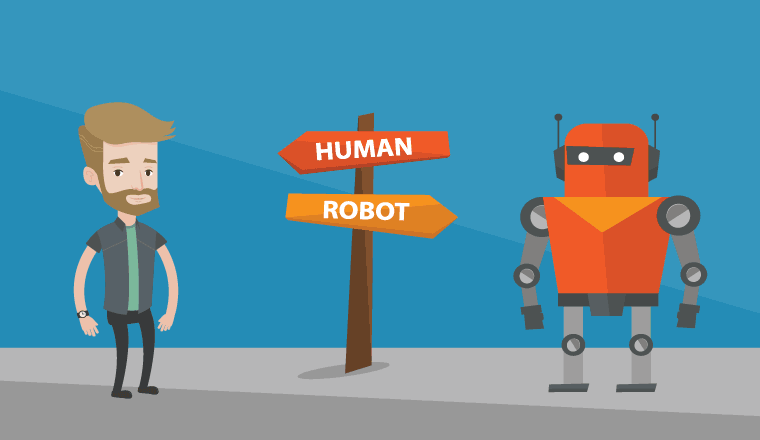 Puzzel assesses the pros and cons of bots, Artificial Intelligence (AI) and virtual assistants in contact centres. 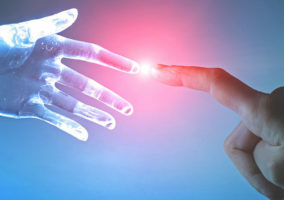 Robots, bots, chatbots, intelligent or virtual assistants are just very sophisticated forms of self-service, and we all know that self-service is here to stay. The younger generation, in particular, is quick to embrace a self-serve environment and typically finds virtual agents entertaining and interesting. So, where does that leave humans in contact centres? Look around you, every kind of robot is out there. Amazon’s Echo and Google’s Alexa are in competition to prove who is smartest, and both are voice-enabled wireless speakers which can answer questions, play music, control smart home devices and even read the news. It is all about low effort and similar devices, which are proving to be extremely popular. Coming back to UK shores, Enfield Council has used Amelia to transform its cost to serve. New knowledge can be automatically captured and categorised whenever Amelia has to escalate unresolved enquiries to live assistance. It’s fair to say robots have carved out a great opportunity for contact centres to reduce live assistance of inbound volumes, leading to huge savings in time and support costs. 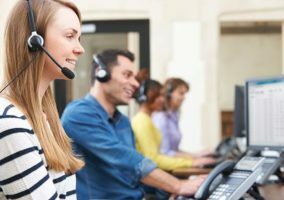 Fortunately, cloud-based contact centre solutions are rapidly catching up by bringing together the latest developments in automation, self-service, intelligent routing and integration on a single platform to deliver a truly modern customer experience. As the next step in the evolution of self-service, robots are becoming an important part of today’s multichannel contact centre environment. But will they ever take over completely? They certainly have their fair share of good points, but much depends on the needs of your customers and on your organisational set-up. Customers can ask questions at 2am and get an immediate answer without waiting for the contact centre to open at 9am. The truth is that robots and intelligent assistants are fast revolutionising the mundane tasks in our daily lives. They are rather like having your own virtual butler. They can order lunch, a taxi, set up meetings, shop and book flights and thus remove routine enquiries from contact centres. Some industries, such as insurance, are experimenting with conversational personal assistants to automate claims management. Today’s contact centre solutions, offering superior automation, advanced self-service and intelligent routing capabilities, are making it all a reality. At the same time, they have the power to boost productivity whilst reducing the need for additional headcount, always an attractive business proposition. As technology advances, so too does its application and popularity, especially among the tech-savvy younger generation. A well-designed virtual agent can feel like a real live agent. Given a face and even a name, they boost the customer experience and strengthen brand loyalty. When it comes to attracting tomorrow’s potential big-spenders, robots are a smart move. New and training agents can hit the ground running because they have instant access to accurate information they can use to answer customers enquiries, all courtesy of artificial intelligence or machine-to-machine learning. Even the most sophisticated advances in technology will never be able to replace the human touch fully. This is especially true of organisations with a higher than average mix of complex enquiries on emotional subjects such as housing or health. Some sectors might wish to consider retaining more human advisors to accommodate their customers’ specific needs and conduct sensitive conversations. The same applies to servicing the communications preferences of certain customer demographics, particularly the less technology-confident older generation. From a business perspective, it doesn’t make sense to dismiss the spending power of the silver pound, let alone alienate a huge section of many companies’ loyal customer base. Success lies in being all things to all people. Using the latest multichannel cloud contact solutions means advisors have the ability to handle enquiries from all channels. Clever integration with major customer relationship management (CRM) applications such as Salesforce and Microsoft Dynamics enables personalised enquiry handling and queue prioritisation. Giving advisors the right tools to handle customers based on their own judgement improves customer loyalty and delivers the quality of service that all customers deserve and expect.